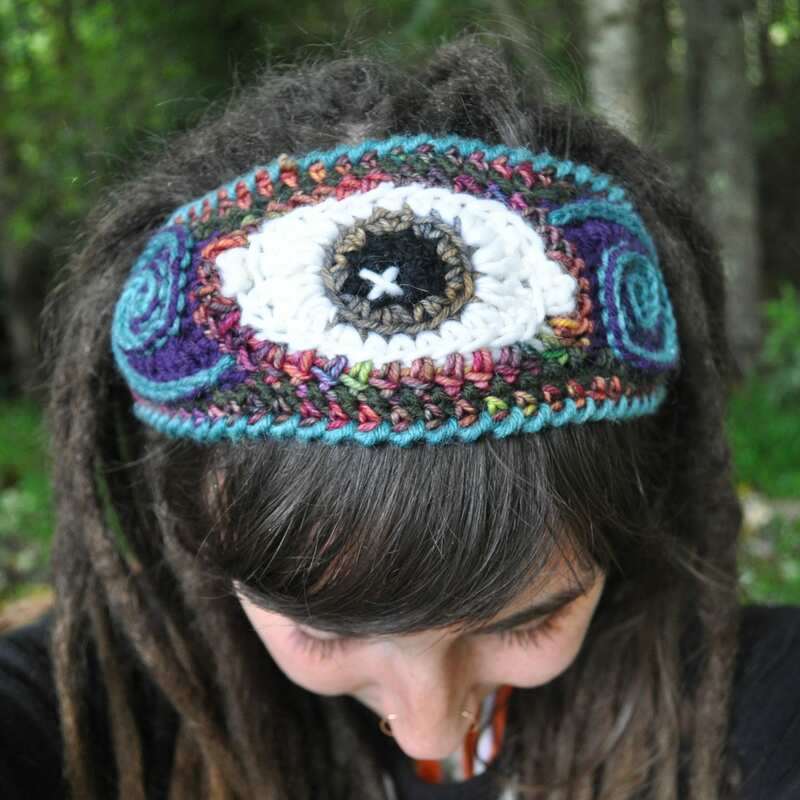 I have finally written a pattern for my popular third eye headband design!! 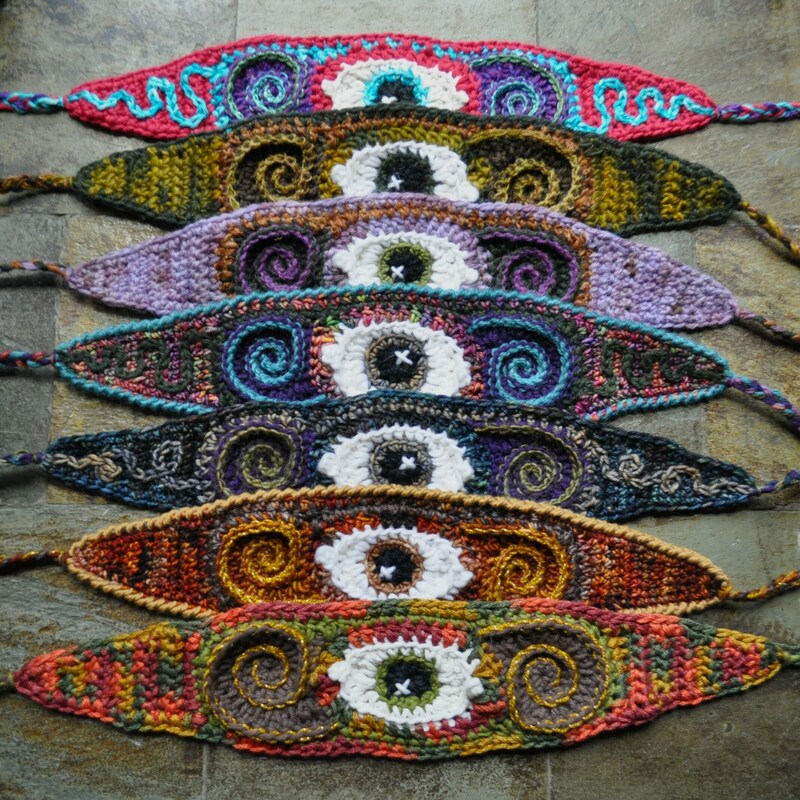 These headbands have been a staple in my shop since 2012. 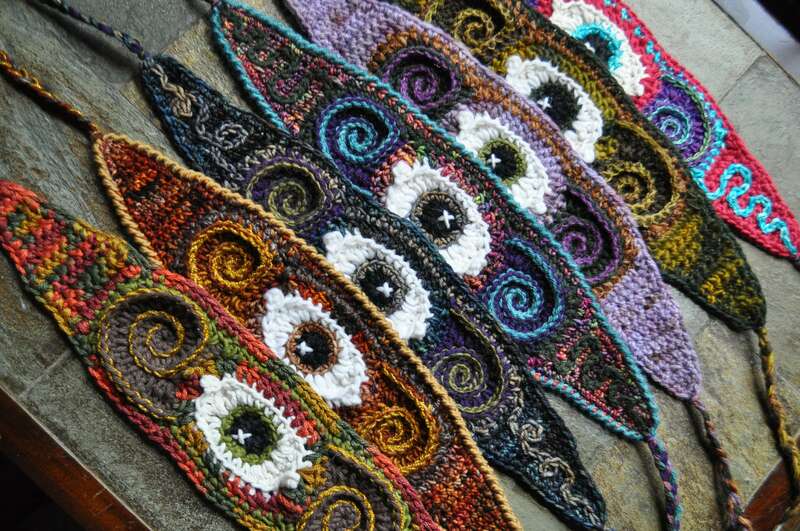 They're really fun to make and are a great way to start exploring the realm of freeform crochet. 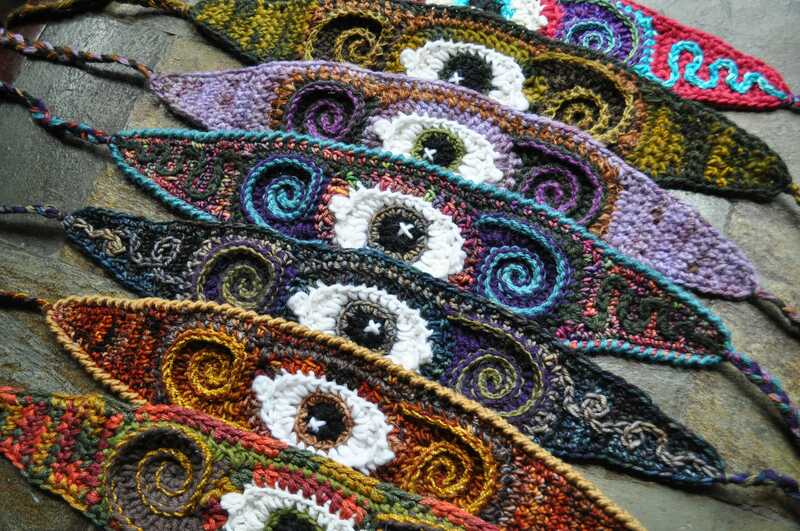 This project is a really unique design and is a great stash buster! 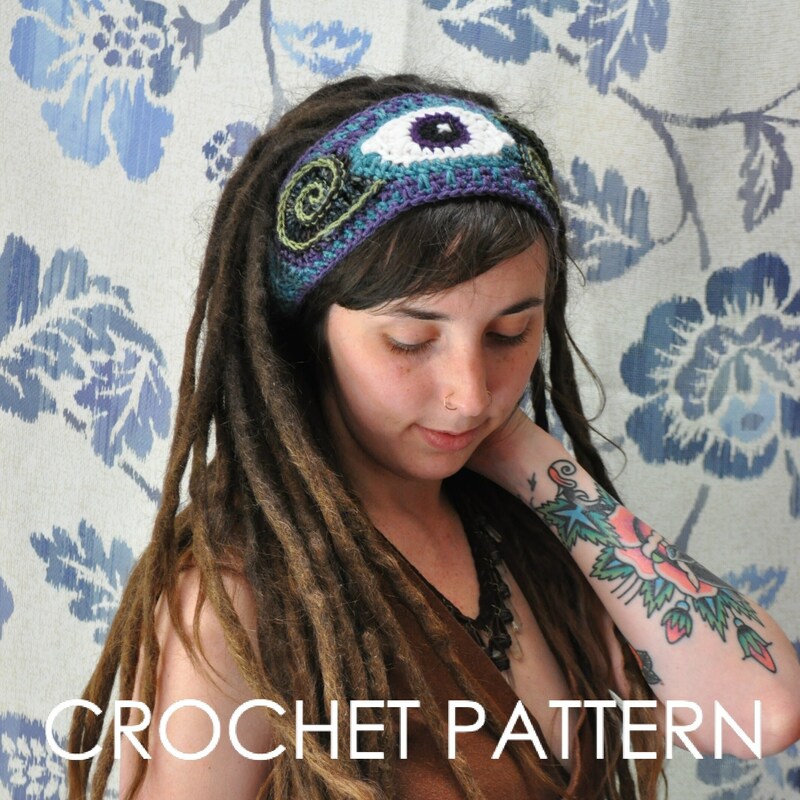 I would rate this as an intermediate project - You will be seaming together multiple pieces, crocheting in the round, and working with several different yarns. I would not recommend this project for an absolute beginner. Boy do people fall over with joy when I make these as gifts! Such a unique pattern I will always treasure. 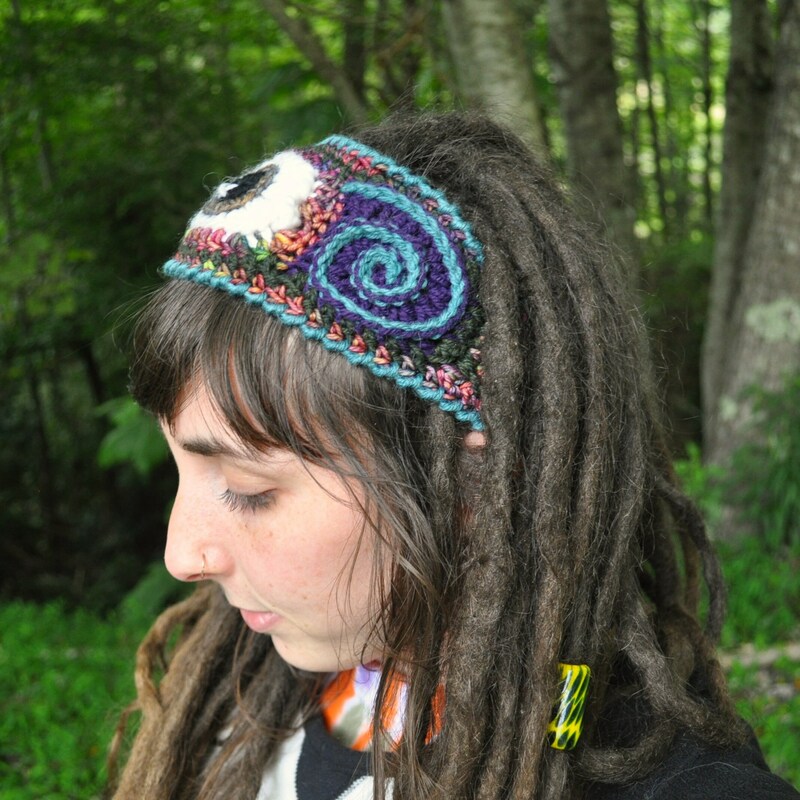 Love this pattern its very easy and makes up quickly! My husband even wants one! I made these in neon so they glow on blacklight! Great pattern, not the first of hers I’ve purchased! 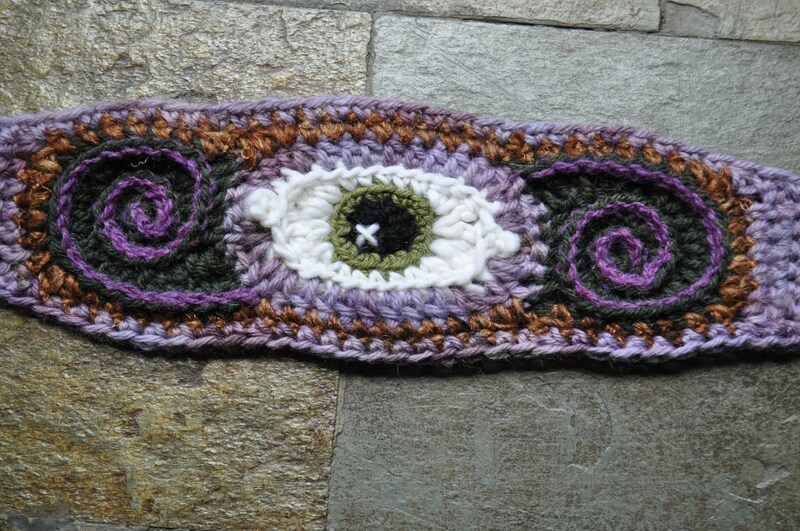 This was so fun to make, quick and endless possibilities for color combos! Thank you. This Pattern is easy to follow.